At the eastern end of the northern terrace of the Temple of the Emerald Buddha is the largest of the three halls that occupy the terrace. Called the Ho Phra Monthien Tham, it was built by the brother of King Rama I to replace an original building that burned down soon after the temple's construction. 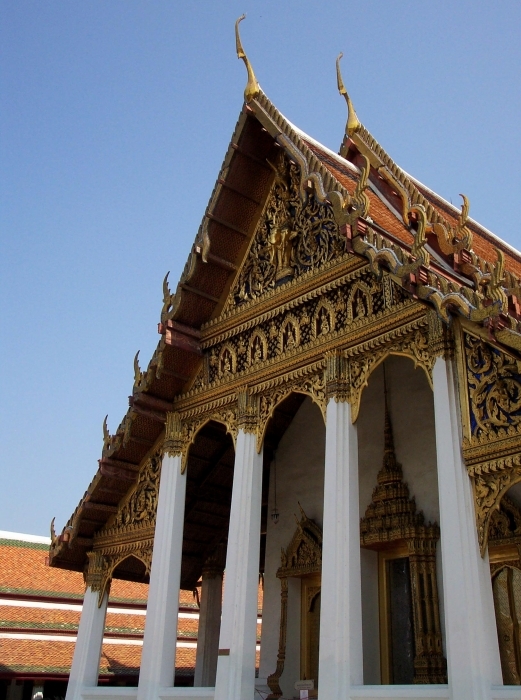 The Ho Phra Monthien Tham houses Buddhist texts, which are stored in fine cabinets within. The Mother of Pearl doors of the hall were salvaged from Wat Borom Buddharam in the old capital of Ayutthaya. The building is never open to the public.